Description: Secret handshake interaction enabled. 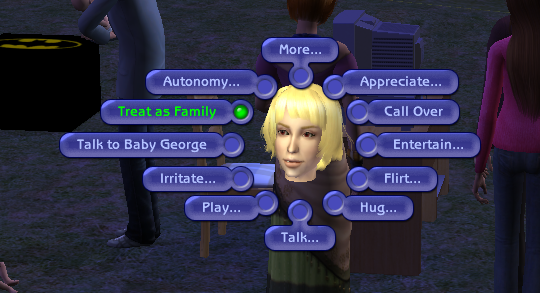 Description: Add/remove non-biological and extended family members. Description: Sims can confess to cheating to their partners.